Bayern Munich coach Niko Kovac has said that his bruised Bayern Munich team are determined to tilt the Bundesliga title race back in their favour with a win over Borussia Dortmund on Saturday. 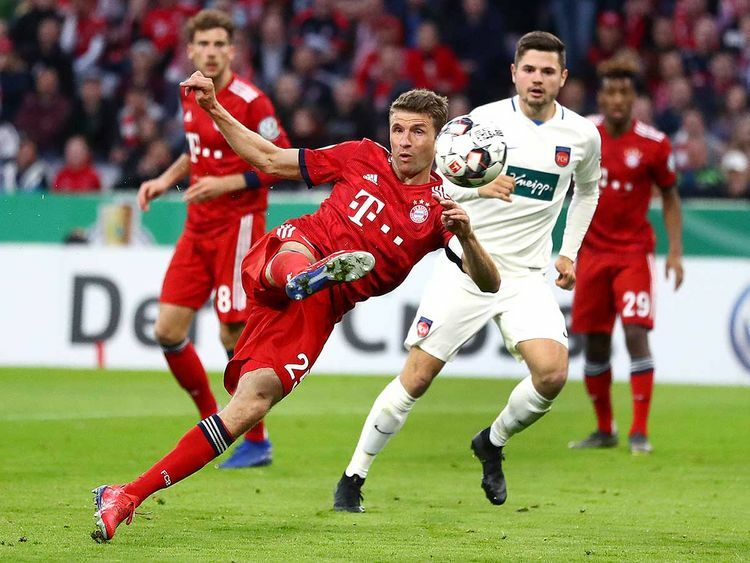 Kovac’s side have endured a tough week in the build-up to their title race showdown with Dortmund at the Allianz Arena this weekend. They slipped two points behind their rivals after being held to a draw in Freiburg last Saturday, and survived a scare against Heidenheim in a dramatic 5-4 cup win on Wednesday. Club president Uli Hoeness has also heaped the pressure on Kovac and his players, saying that there can be “no excuses” in the “must-win” game against Dortmund. On Thursday, Kovac insisted that his players were up for the fight. “Dortmund are having a great season, and it will be an interesting and evenly match game,” he said. After they conceded four goals on Wednesday, Kovac said that his players had to show the right attitude against Dortmund. “We need to start defending well again, as individuals and as a team. It’s a question of attitude,” he said. Bayern will potentially be without several key players for the season-defining clash. Arjen Robben and Alphonso Davies are both still injured, while David Alaba and Manuel Neuer did not train with the team on Thursday. Kovac also admitted that striker Robert Lewandowski has also been fighting off illness in the last few days. Dortmund, meanwhile, have their own injury problems, and are hoping that Spanish striker Paco Alcacer, who scored twice in last week’s win over Wolfsburg, will be fit for Saturday. Alcacer picked up an arm injury against Wolfsburg, while left-back Achraf Hakimi also remains sidelined. They will be relieved to welcome back captain Marco Reus, however, who missed the Wolfsburg game to be at the birth of his first child. Dortmund midfielder and former Bayern star Mario Goetze warned his team mates that they would need to be at the top of their game if they were to beat Bayern. “It will be important to play at our top level for 90 or 95 minutes, because little things will decide the game,” said Goetze. If Dortmund were to win, it would be their first league victory in Munich since 2014. It would also see them establish a five-point lead at the top of the table. Yet the Dortmund hierarchy warned that even a win would not decide the title race in their favour. “Of course the game is a little bit special, but there are seven games to go,” said coach Lucien Favre. Sporting director Michael Zorc was equally equivocal. “We are looking forward to the game and know what the situation is,” he said.